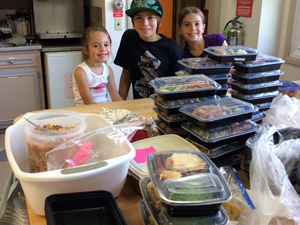 What we do - Culinary Angels is an Outreach ministry at Church of the Holy Spirit that provides prepared meals to clients of "Family Promise" in Flemington. This non-profit organization of congregations in Hunterdon County ministers to the needs of homeless women and their families. 80 people for Family Promise twice a month. 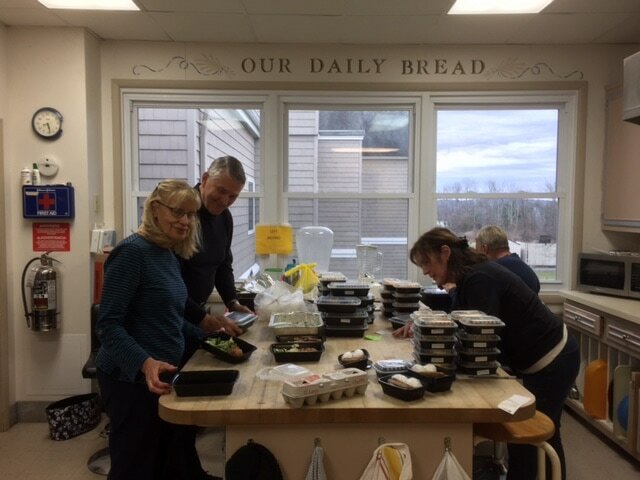 Culinary Angels also prepare meals to put in the "Holy Spirited freezer" for distribution to our Holy Spirit family and friends in need. 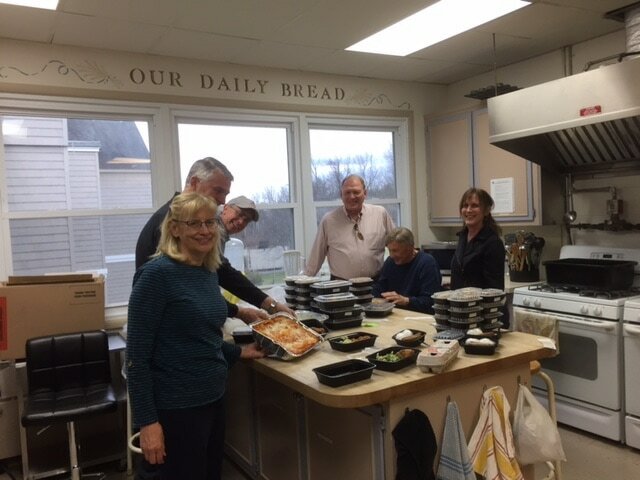 The Culinary Angels group usually meets in the Parish kitchen every first and third Monday of the month. Check the CHS weekly news or the Sunday Bulletin for any updates or changes. Volunteers will pack meals on Monday, May 6th for Family Promise starting at 4:00 pm in the Parish Kitchen. Please place prepared food in the refrigerator in the kitchen as usual, or join us Tuesday morning for prep and packaging. If you can help or have questions, contact June Flipski at juned.fil@gmail.com or Joanne Warnowicz at 908-537-4422. Thank you! Leave meals in the large refrigerator in the parish kitchen. Please label your dish "For Family Promise,” what it is and date delivered. Help package and label meals on Mondays..
Make a monetary donation that will be used to purchase meal ingredients or containers for the meals. stews; vegetarian main dishes. Side dishes: pasta/rice/vegetable salads; cole slaw, cooked vegetables; crudité - Desserts: fresh fruit; puddings; Bags of fresh fruits, carrots, celery. Or Joanne Warnowicz at 908-537-4422. * Bring prepared foods to church on the Sunday/Monday before the 1st and 3rd Tuesdays. Thanks to Andra Taylor for the new photos!